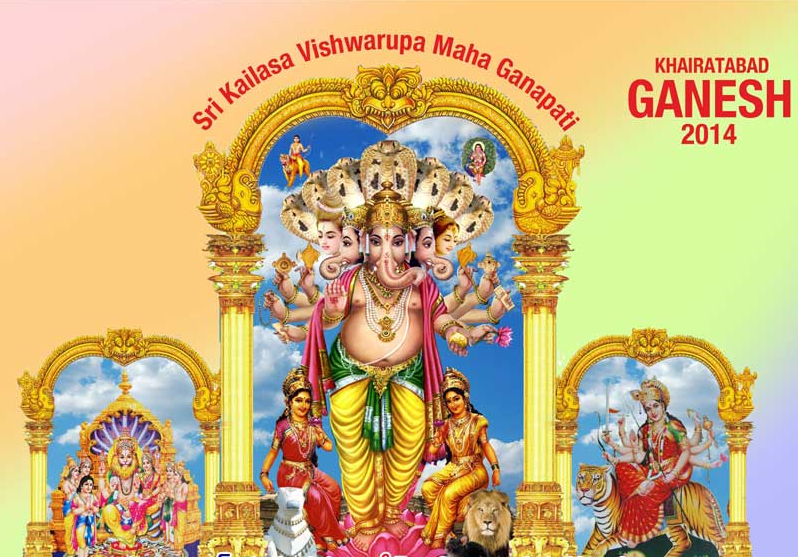 The Ganesh Chaturthi is on 29th August Friday 2014. 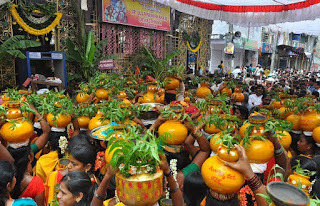 Khairatabad Ganesh 2014 is "Sri Kailasa Vishwa Roopa Maha Ganapathi". The Khairatabad Ganesh idol completing 60 years by this year. Due to this occasion they are placing 60 Feet Ganesh idol. The height of Khairatabad Ganesh is 60 feet and width 28 feet. This time they are placing Pancha Mukh (5 faces) Ganesh. Three are Ganesh Mukha's, one Mukha is Parvathi Devi his mother and another Mukha is Lord Shiva his father. Back side of Ganesh idol has seven snakes and right above to snakes there is Idol of Lord Ayyappa and another side Lord Kumara Swamy were placed. Ganesh idol is placed inside of the Lotus. The right side of Ganesh Idol Buddi and Nandi. The left side of Ganesh idol Siddi Singam (Lion) were placed. Including Ganesh idol they are placing Kalyana Laxmi Narasimha Swamy right side of it and left side Sri Durga Devi (Shakthi Maata) were placed. After finishing the preparation of idol. It will look like complete Kailasa will be on the earth.